I have been knitting every chance I get, which isn't often since I have four kids and work full time. 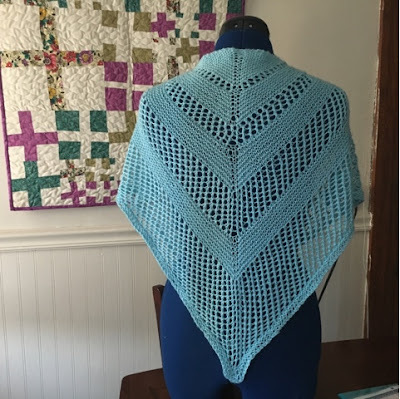 I am very excited about my first finish, which is the Reyna Shawl I was working on (free pattern on Ravelry here). This was my first shawl, and it's a Christmas gift, which I am very happy that I have finished on time. The yarn is Cloudborn Superwash Merino. I love it, its soooo super soft. 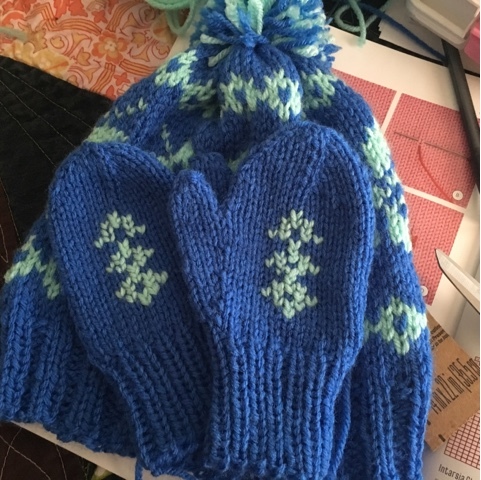 Next I started and finished not one but TWO winter hats for my kids. I bought the pattern on Craftsy here, after seeing it on Off Our Needles. There is also a kit available that includes the yarn here. 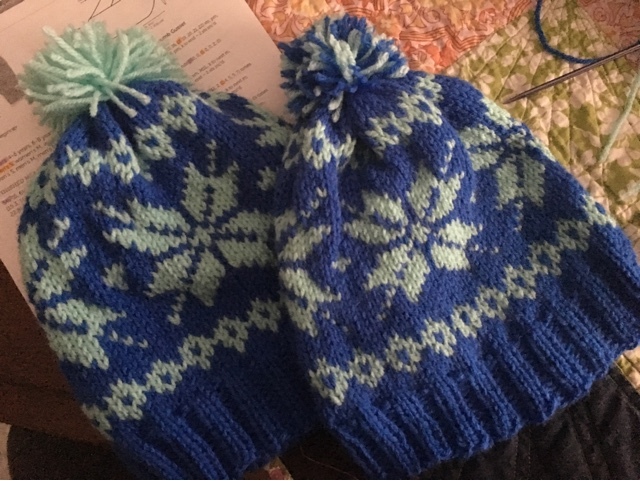 This was my first time knitting colorwork, and the hat on the right was the first. My floats were a little too tight which makes some of my stitches sort of disappear. When I made the second one, on the left, I made my floats looser and you can see that it makes a huge difference. 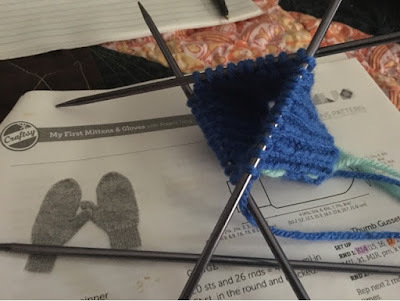 I realized this after watching the class, Modern Stranded Knitting Techniques. One of the first classes I took was My First Mittens and Gloves, but never made any because honestly, I was too scared because I thought they would be really difficult. But with winter on the way and two hats finished, I decided I would give it a shot. So far I have finished one pair, and while the class doesn't teach the over stitching, I do have a book that does so I tried that, although I definitely need some practice with it. I started another shawl, again intended to be a Christmas gift, but I did get sidetracked with the hats and mittens so I have not gotten very far. This is a free pattern on Ravelry called Nurmilintu. 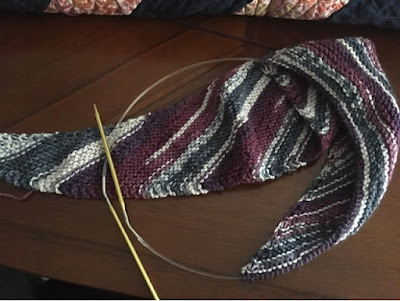 The yarn is Cascade Yarns Heritage Prints and it's generally used as self-striping yarn for socks, but I decided to try it and see how it looks in a shawl, so far I like the way it's looking. Currently I am working on the second set of mittens for my other daughter. She doesn't want that overstitching, she wants the tops of her to be aqua, so we'll see how that turns out I guess. While I was away my oldest daughter and I opened an Etsy shop. You can see that here if you're at all interested or curious.